We need to be able to define who should have the ability to change the design or settings of the application. 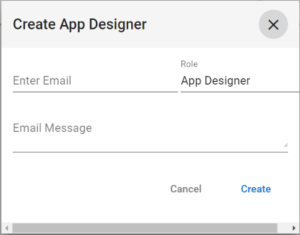 Users are not created in AppBuilder, but we do need to tell AppBuilder who should be a designer of the application. To do this we need to add the desired users as App Designers using this screen. Enter the user’s email address. 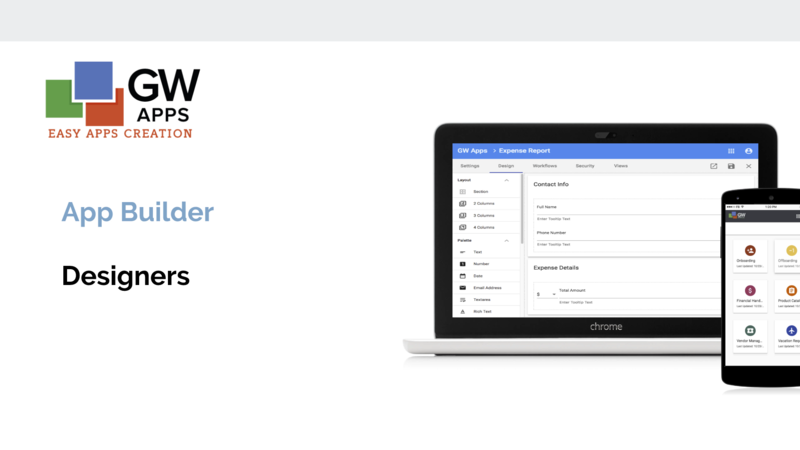 Once enough of the address has been typed in to identify the user, their full email address will display just below the Enter Email field. Select the name. The role will be set as App Designer.